In this episode of the Nashville Wedding expert series Ed Clay interviews custom wedding dress designer Karen Hendrix. Karen is one of the few certified Couture designers that can be found in the United States and recently designed the wedding dress for the Dream Wedding bride Corene Hejl. For more than 40 years she has blessed brides with their dream wedding gown. In this video, Karen breaks down the advantages of having a custom wedding dress made for your body shape and offers tips on finding the right dress for your needs. 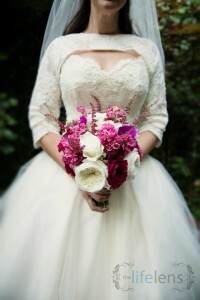 She covers everything from getting measurements to last minute adjustments. She offers valuable information that I think will make your dress selection process easier. For more information about Karen visit her website, http://www.karenhendrixcouture.com.